The first impression you make on potential clients is always important. 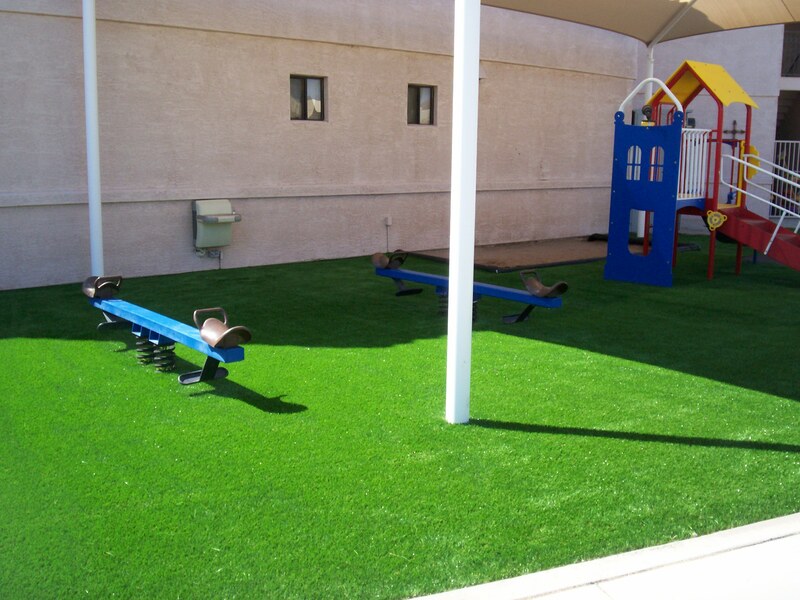 At AZGrassman, we install premium artificial grass for businesses that conveys the message you want the world to see. Our extensive line of synthetic grass includes everything you need for a commercial lawn that always looks perfectly groomed and doesn’t require the time and investment that can go into landscaping. A lot of money can go into lawn care without any guarantee that you are going to get the professional-looking results you pay for week after week. 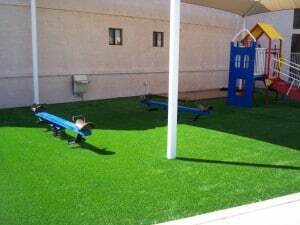 In contrast, you can pay for our synthetic turf commercial installation one time and get the lasting assurance that you will have a great-looking lawn to greet every customer who comes to your facility. The hot Arizona sun can be detrimental to the appearance of any lawn. There is also the concern about using water wisely as the availability of fresh water is left in doubt. The water that is needed to keep a natural lawn green can be substantial and unreasonable. One of the reasons we continue to be called to install artificial grass for lawns at businesses of all kinds is that they are concerned about their impact on the environment. Synthetic turf requires no water while offering excellent drainage properties. You will save a significant amount of a valuable resource in addition to saving money for water and lawn care that you will no longer need. Using synthetic turf for your commercial business lawn makes great business sense! 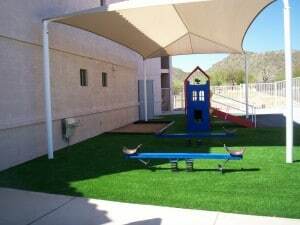 The superior artificial turf available from AZGrassman is made with state of the art yarn products and are all made in the USA. Various products are made to endure moderate to heavy traffic areas and can provide 15 to 20 years or more of ongoing service. Our quality products and service are what make us stand out from the competition. We give our customers the personal attention to detail that any business can appreciate. If you are ready to make the transition to a low-maintenance lawn that will project the image you want for your business, call us and ask about our commercial synthetic turf and commercial installation. 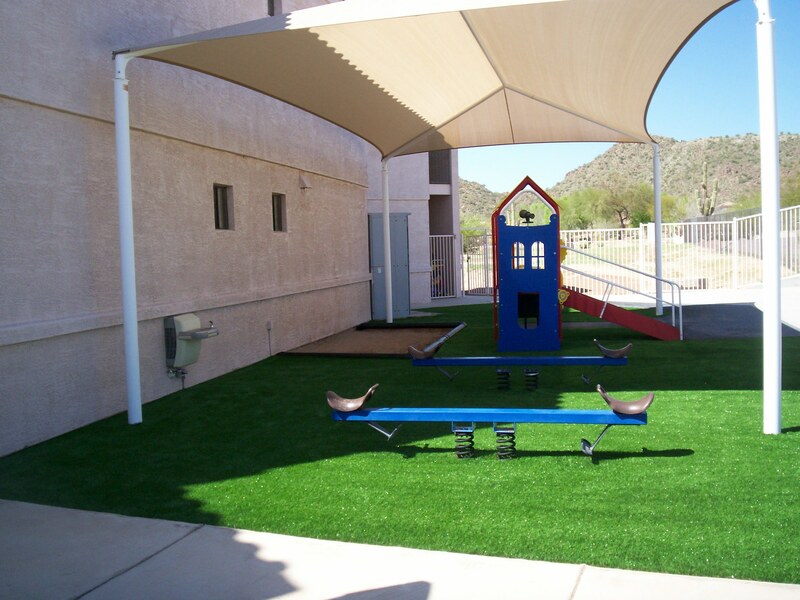 We have the artificial turf solution that is right for you.